David Williams is a New York based photographer who works with GQ, Bloomberg Businessweek, The New York Times, The New Yorker and other leading publications. Alongside his commissioned work, Williams shoots a lot of personal projects. With a distinctive style thanks to his use of vivid color and flash, Williams chronicles America’s most fascinating subcultures with vibrancy and sensitivity. 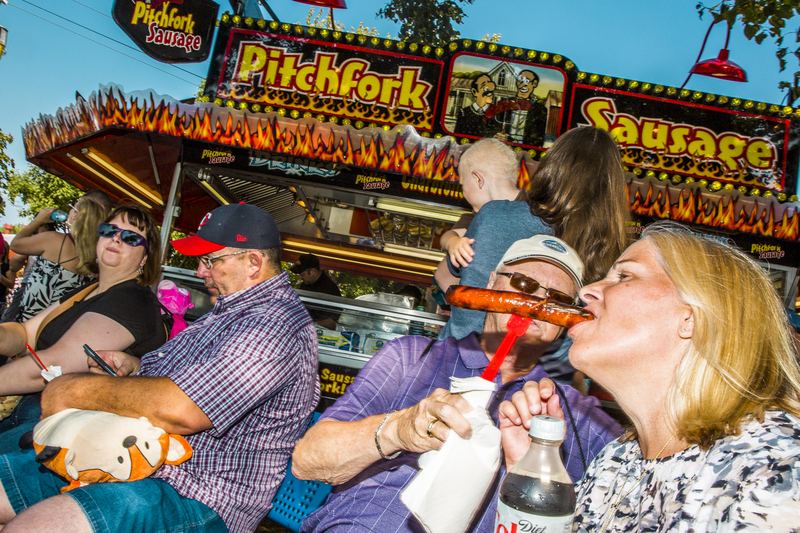 We take a look at his most recent project State Fare, an ongoing project exploring America’s state fairs through its food. Fair food is a phenomenon all its own: butter drenched corn on the cob, hot turkey legs, giant corn dogs and ice cream sundaes are classic fare food, but what people love the most is that anything and everything can be fried, skewered and enjoyed while riding the ferris wheel or marvelling at the quilting exhibit. His series was awarded by The Fence 2018. The Fence is an annual call for entries to be part of the largest outdoor photography exhibition in North America. How did your series State Fare come about? 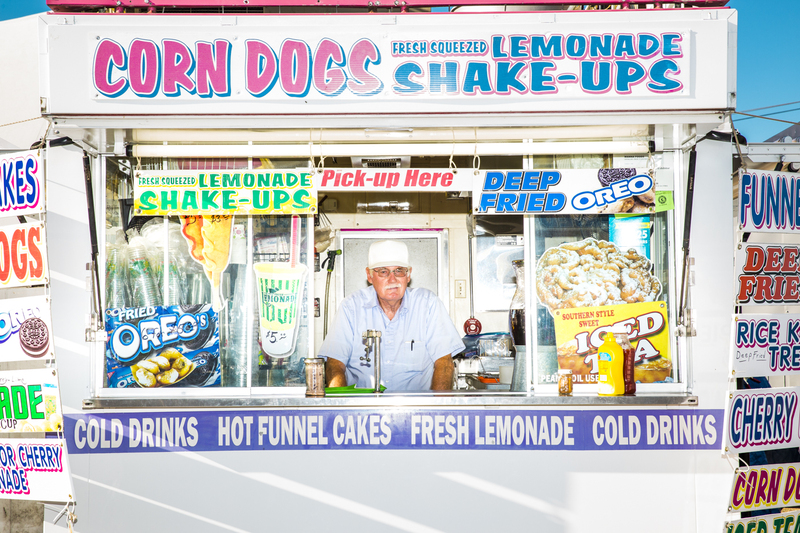 I’m often hired to take food and restaurant photographs and I wanted to start a personal project where the food didn't have to be the center of attention, but that it could be the thing that told the story about the fair and its culture. The fairs are basically all the same, but it’s fun to see the regional differences in some of the food. How have people responded to the project? Most people react positively to the project. 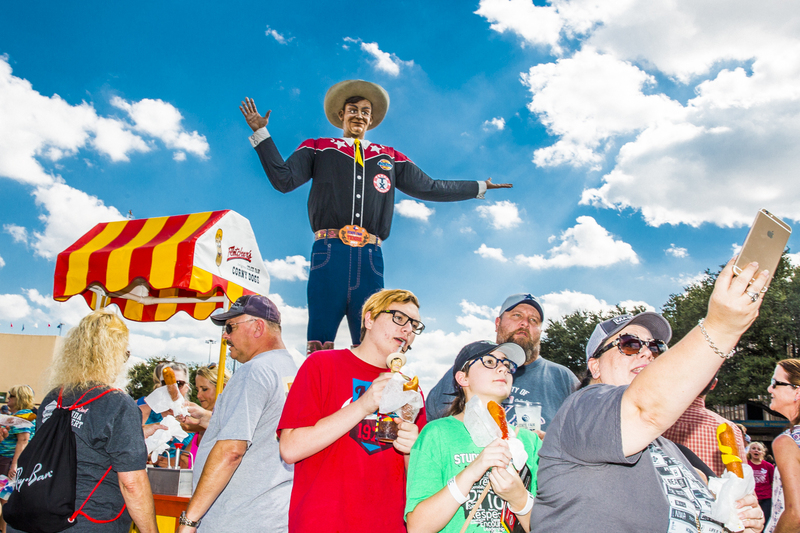 I think fairs tap into nostalgia and youth for many people – or at least here in the United States. 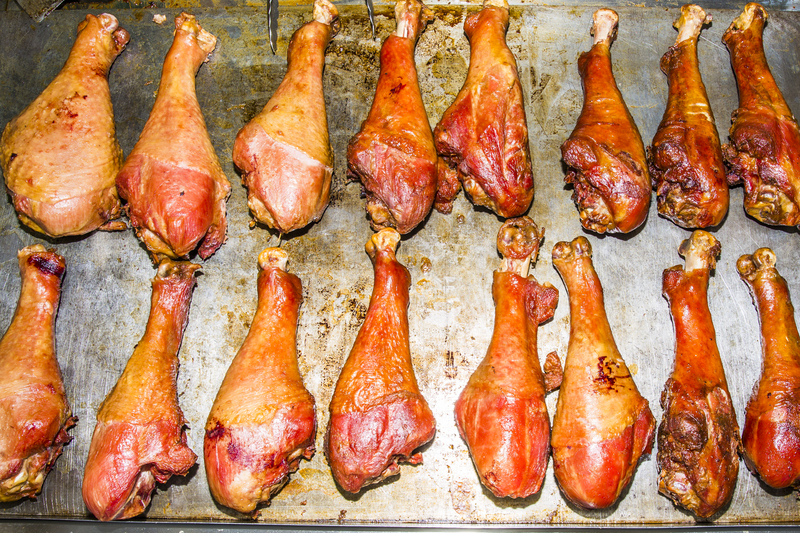 If you've ever been to a fair, I think you'll be able to look at the series and smell the corndogs or taste the turkey legs. What are your main influences in photography? A lot of my visual influences come from film directors and documentary filmmakers like Todd Haynes, Jim Jarmusch, Penelope Spheeris, Les Blankand Errol Morris. Photographically, Lars Tunbjork, Martin Parr, Neal Slavin, Rosalind Fox Solomon and Harry Benson have always been an inspiration to me. How did you come to your vibrant style? My use of color and flash is a stylistic choice and how I want my photographs to be seen. I don't think of it as something that I necessarily made a decision about, but that documenting events, subcultures, or even daily occurrences excites me and keeps me interested in learning about life through the act of taking photographs. Most of my personal projects come from letting myself naturally gravitate towards things that genuinely interest me. Whether that be finding an event that speaks tome, or documenting a subject that I'm curious about, I wouldn't be pursuing a project I find uninteresting. See David's full portfolio here.